If you suspect that your pet consumed even the smallest amount of antifreeze, don't wait for symptoms to appear. This is an emergency and you should rush your pet to a veterinary hospital. If it is not possible to obtain immediate veterinary care, induce vomiting and administer activated charcoal. 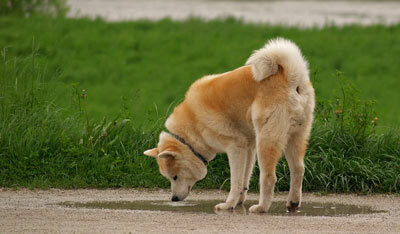 This will reduce the amount of toxin that your pet's body absorbs.